It’s Raining !! Here are some Rainy Season Snacks. Whenever we want to take a full enjoyment of the rain first thing comes to our mind is Let’s eat something which makes this special time more special. When you are sitting peacefully alone or with friends in your balcony or terrace and enjoy the weather. It looks incomplete without a cup of tea or coffee you will be happier when you will get hot crispy snacks with it. What comes in your mind? There are some rainy season snacks which are in the favorite list of everyone somehow. Let’s have some Yummy Snacks for Rainy Season. 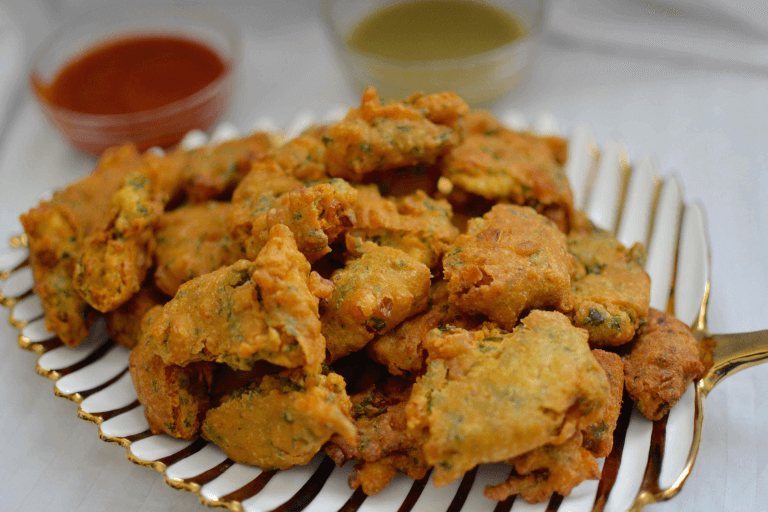 Pakodas: A traditional dish in India which is mostly prepared in homes at India at rainy season. Pakoda has lots of varieties like veg and non-veg both. It is prepared by gram flour(besan) and the different vegetable. It is tastier when you take it with hot tea or coffee and different chutney’s which enhance the taste of pakoras. Halwa: A sweet dish which is prepared in different ways. Different always like Suji ka Halwa, Mung Dal ka Halwa etc. are the first choice of many people at a rainy time. A hot and sweet dish loved by most peoples. Samosa: A crispy fried or baked dish filled with a stuffing of potato. You can use more ingredients with potato to enhance their taste. It will be a favorite of all especially when it will serve with green or red chutney. Spring Roll: Rolls which come in our mind during the rainy season to eat, Inside it there Is a stuffing of veg noodles and an outer fried roll. It is popular in Asia which is found different in size. Good food for the rainy season. Pav Bhaji: A hot Pav Bhaji favorite food at Rainy Season special famous in Maharashtra(India). It is a thick fried mixture of mashed vegetables which is served with a soft bread roll called Pav. Chili Potato: A chopped crispy potatoes with chili sauce. A mouth watering food which is used as a perfect snack which changes your taste at rainy season. Jalebi: A Popular sweet dish which is made up of deep frying maida flour batter and soaked in sugar syrup.Served hot, which is yummy and favorite at Raining time. Note: Eating fast-food on more quantity is not good for health according to experts. So sometimes you need to take it only to change your taste. So, Enjoy Rain and Be Foodie!